Big, beautiful cool handbags are showing up on store shelves again. 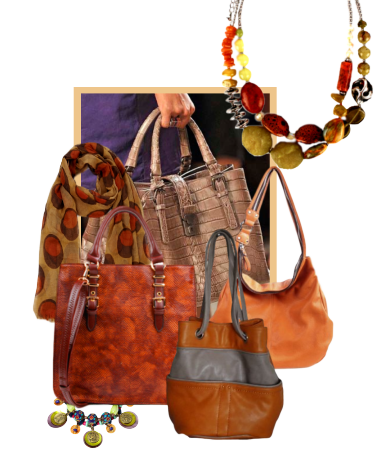 The fashion pendulum has swung back from mini-models towards big totes, bucket bags and cross bodies. This is nice for the likes of you and me who have to ...you know...carry stuff. Living in the country as I do there's no way I can roll onto the highway with a tiny purse only large enough to hold my wallet. Where would I put my bottled water, cell phone and three page grocery list not to mention my emergency medications and a book to keep me amused in case I have a breakdown. I also have to take extra socks, gloves and those little pocket sized hand warmers if I'm traveling in winter. It's a long way to town so I often pack a sandwich, too. In my case when it comes to handbags, the bigger the better. Everyone needs a grab and go bag that's just as convenient to use during the day as it is on a casual date night. For me, a good classic tote bag is spot on when it comes to every day working style. First it has the spaciousness I crave. A good sized tote is ideal for laptops, papers, snacks and all the above mentioned detritus of a busy life. In my case the bag needs to have a zipper closing because with groceries in hand I'm forever flinging my purse carelessly into the car, or onto the roof. Once, I accidently tossed it over the car and dumped my wallet and other goodies into the snow. Despite the blustery winter weather that was not cool. Handbags need zippers. My ideal bag also has to have one or two zippered pockets inside to keep all my little bits in place. And a handy dandy easily accessible pocket on the outside of the purse would be nice to hold my cell phone. Some of the new color blocked summer totes we had in stock this year showed off an unexpected medley of mint green, pink and dusty blue with studded faux leather accessories. We've also had hobo bags, satchels,bucket bags and hip length messenger bags in similar pastel colours. 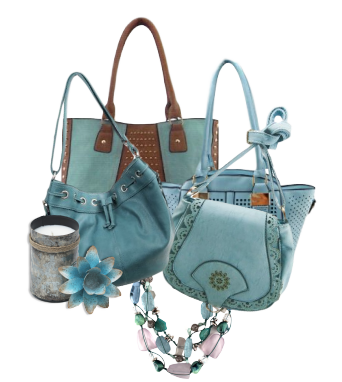 Many of my customers took home one of the dusty blue handbags. 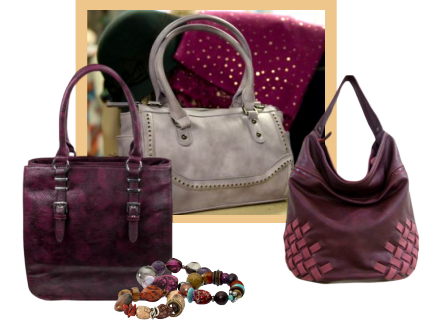 Handbags the colour of clear blue skies that add a touch of the feminine to jeans and tees. You can just shop here.